The first elements to appear in the Universe were hydrogen and helium, created soon after the big bang. Other elements on the periodic table are produced through nuclear interactions within stars. Lighter elements such as carbon, nitrogen and oxygen are formed through nuclear fusion in a star’s core, but heavier elements such as gold are formed through catastrophic events such as a supernova explosion or the collision of neutron stars. It’s known as r-process nucleosynthesis (due to the rapid neutron interactions) and is still a bit of a mystery. We can distinguish r-process elements not only by their presence in stars, gas and dust, but also by their relative abundances. The r-process abundances are distinctly different from other nucleosynthesis methods such as the s-process (slow neutron) that occurs in the late stage fusion of large stars. So we know that heavier elements can are produced through r-process events, but one of the big debates has been over which type of events create the most heavy elements. There’s basically been two schools of thought. 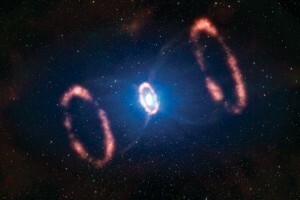 One is that core-collapse supernova are the main factor. These are fairly common on a cosmic scale, but the amount of heavy elements released in a particular supernova is relatively low. In this model a galaxy would be seeded with a low but steady flow of heavy elements. The other idea is that stellar collisions create most heavy elements. 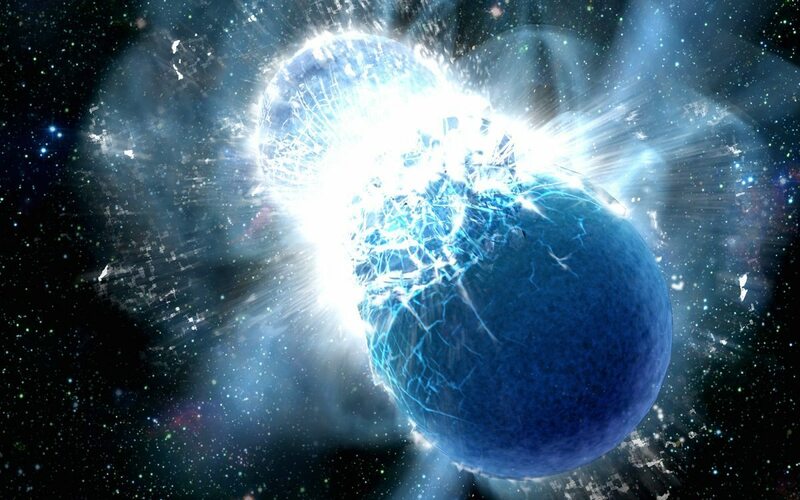 The collision of two neutron stars, for example, is fairly rare, but the amount of heavy elements released from such an explosion would be quite high. In this model heavy elements are seeded into a galaxy in bursts every now and then. The challenge is to determine which model is right. 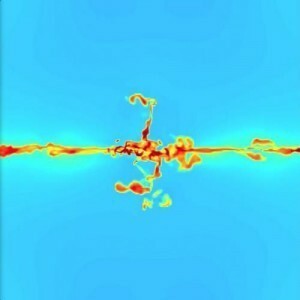 Recently astronomers found evidence that the collision model seems to be the right one. They looked at the abundance of elements in a dwarf galaxy known as Reticulum II. They found that the 9 brightest stars in this galaxy have heavy element abundances 100 to 1,000 times greater than seen in other similar galaxies. This would imply that the abundance of r-process elements was unusually high during their formation, which is what you would expect if they are produced at high quantities in rare events. 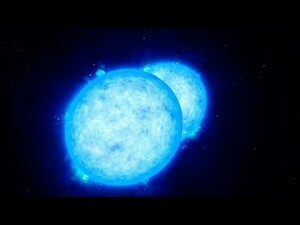 It seems clear, then that stellar collisions play a major role in the production of heavy elements. Since gold is one of those heavy elements, you could say that the collision of neutron stars causes a galaxy to enter a gilded age. On the relative abundances of elements, and isotopes: how successfully do you think the effects of cosmic ray spallation have been modeled? For example, that such a process alters many ratios is certain, but modeling their effects would depend on good estimates of the intensity of the ‘cosmic radiation’ (and, to some extent, its energy spectrum), wouldn’t it? How well constrained is this, particularly in GMCs and star-forming regions? Then there’s the jets from AGNs, which produce the giant clouds of plasma which radio astronomers so often see (as ‘double lobes’ and ‘hourglass’ morphologies). Sometimes these jets ‘hit’ nearby galaxies and globular clusters; sure there’s often very little in the way of ISM in these, but what effects does being blasted by an AGN jet have on the relative abundances of elements and isotopes? In Seyferts, these jets certainly exist, but are – per current thinking – stopped by the denser ISM; the intensity of the ‘cosmic radiation’ is surely far greater there than that which we experience here, waaay out in a disk, and the effects of cosmic spallation correspondingly greater. Supernovas and neutron star collisions are very different processes, for example the temperature and pressure differ greatly. I would imagine this difference would leave some effect on the frequencies of heavy elements. Is there such a difference? Is it significant enough to be detected?